Mezzo-soprano Leah Wool has been hailed by Opera News as “among the more distinctive and accomplished artists of her generation, with a “voice of truly beautiful timbre”. Most recently, Leah Wool joined the Cincinnati Symphony for Bach’s Magnificat. Previously, she made her debut with the Charlotte Symphony for Elijah, returned to Boston Baroque as Holofernes in Juditha Triumphans, debuted with the Nashville Symphony in Mozart’s Requiem, the Phoenix Symphony for Haydn’s Lord Nelson Mass, and the Defiant Requiem Foundation in Hours of Freedom: The Story of the Terezín Composer. 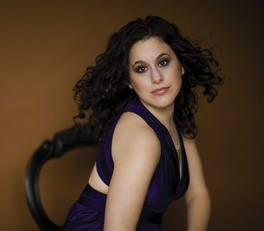 Her 2014-2015 season saw anticipated returns to the San Francisco Symphony for Handel’s Messiah and Utah Opera as Dorabella in Così fan tutte. 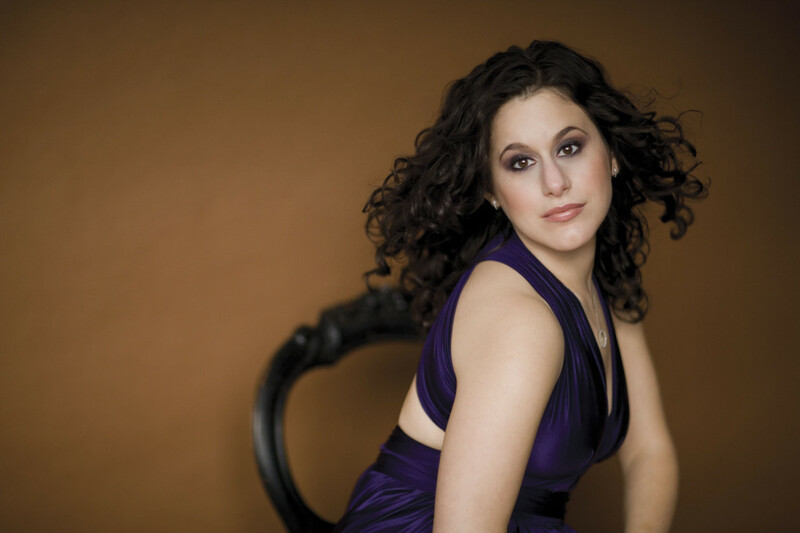 Grammy nominated for her work as Minerva on Boston Baroque’s recording of Il ritorno d’Ulisse in patria, Ms. Wool is one of their frequent collaborators, having sung the title role in Handel’s Amadigi di Gaula and Amastre in Xerxes with the company, in addition to her return last season. Other notable performances include appearances with the Metropolitan Opera in Suor Angelica, Thaïs, Le nozze de Figaro, and War & Peace; New York City Opera as Delia in Il Viaggio a Reims; Central City Opera as the title role in Massenet’s Cendrillon and Erika in Vanessa; Santa Fe Opera as Léoena in La Belle Hélène; Glimmerglass Opera as the Secretary in The Consul; Spoleto Festival USA in Glass’ Kepler and as Betty in Flora; Toledo Opera as Stéphano in Roméo et Juliette; Syracuse Opera as Meg in Little Women; Gotham Chamber Opera as Nancy in Albert Herring and the title role in El gato con botas by Montsalvatge; and The Little Orchestra Society at Avery Fisher Hall as the Mother in Amahl and the Night Visitors. She has sung Hänsel in Hänsel und Gretel with Kentucky Opera, Opera Theatre of St. Louis, and Newton Symphony. She has also sung Hänsel with Utah Opera where she is a frequent performer, having been heard as Dorabella in Così fan tutte, Hermia in A Midsummer Night’s Dream, Karolka in Jenůfa, Kate in The Pirates of Penzance, Wowkle in La Fanciulla del West, and The Sandman in Hänsel und Gretel, a role she has also covered for the Metropolitan Opera. Ms. Wool is also highly sought after for her extensive experience performing the works of Rossini, having bowed as Rosina in Il barbiere di Siviglia with Sacramento Opera, Piedmont Opera, Opéra Louisiane, Knoxville Opera, and the Newton Symphony; Angelina in La Cenerentola with Nashville Opera, Knoxville Opera, Orlando Opera, Opera New Jersey, and Opera Fairbanks; Isabella in L’italiana in Algeri with Utah Opera; and the mezzo-soprano soloist in Petite Messe Solennelle with Gloria Musicae. Ms. Wool is the recipient of a 2008 Sullivan Foundation Award. She was a Second Place Winner in the 2005 Licia Albanese-Puccini Foundation International Vocal Competition and subsequently made her Alice Tully Hall debut in the Foundation’s gala concert, receiving praise from Opera News as “the afternoon’s most arresting voice.” A two-time Regional Finalist in the Metropolitan Opera National Council Auditions, she has also received an Encouragement Grant from the Sullivan Foundation Awards, the Judith Raskin Memorial Award from Santa Fe Opera, and was the First-Place Winner of the Amici Vocal Competition in 2003. She was also the 2002 recipient of the Presser Award, a prestigious study grant from The Presser Foundation and the Yale School of Music. Ah! Leah Wool’s sumptuous voice made a queen’s lament one of the many highlights of Henry Purcell’s “Dido and Aeneas” on Monday evening (June 27th) at First United Methodist Church in Portland. Wool was the star in a performance that featured the Portland Baroque Orchestra under violinist Monica Huggett, soloists, and a superb vocal ensemble from the Oregon Bach Festival, which sponsored the concert. Their collaborative effort resulted in an exquisite interpretation of Purcell’s opera, but the near-capacity audience also heard an outstanding performance by the Portland Baroque Orchestra of Benjamin Britten’s “Simple Symphony” as well as an elegant and emotive rendition by a select vocal ensemble of the “Choral Dances” from Britten’s opera Gloriana. Leah Wool sings the finale of Rossini’s “La Cenerentola” (July 2008) from mezzo music on Vimeo.